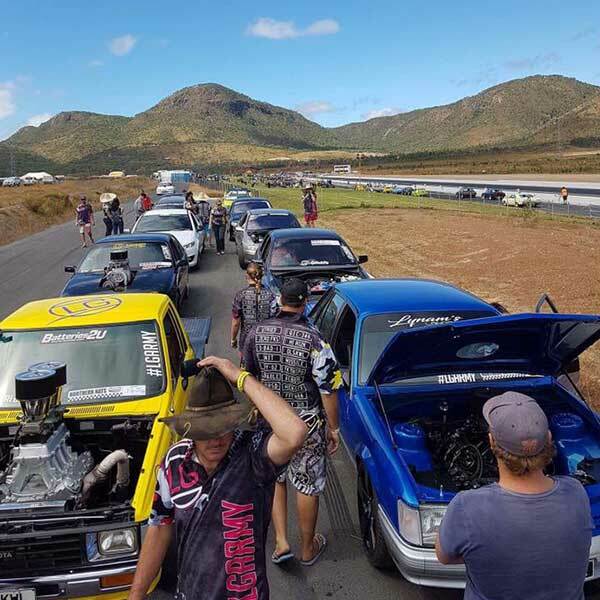 We are also the RooSystems Authorised dealer for Townsville and have extensive knowledge in tuning diesel vehicles to not only improve performance but also fuel economy. Any performance workshop can tune a high performance car but it takes a lot of research and development to get a high performance car to deliver great fuel economy and outstanding road manners. This is what we believe sets us apart from the competition. We have our own fully enclosed dyno cell and all our tunes are done in house! SCT, WOLF, EFI-LIVE VCM-suite, Vipec, Haltech, Microtech, LINX, Motec. We supply and fit all performance parts including superchargers, turbochargers, exhausts, intercoolers, fuel systems, intakes, gearboxes, differentials, etc. We are constantly attending training courses to keep our knowledge at a very high standard, giving you piece of mind that our work is of top quality. It’s not just the high performance stuff either, We do everyday log book servicing as well as warranty services and repairs at a very affordable price, without losing your vehicle’s manufacturer warranty! LG Automotive are also across all Motorsports; from Springmount Raceway, Drag racing, Speedway Events, to numerous elite Breakout car builds and Circuit cars. The LG Automotive team build and race their own cars too. For the LG Automotive team cars are a lifestyle and are proud to have their own family community of like minded car people the LG ARMY. We create together, build create together, win together. So contact us today to chat about your automotive needs! At LG Automotive our team are passionate about what we do, not only professionally but personally. We believe this makes all the difference! We are car people – auto enthusiasts who live and breath the lifestyle; from the workshop, to the speedway to car events and shows we are there! So rest assured we will treat your vehicle like it is our own with professionalism, love and respect. At LG Automotive and Dyno we endeavour to provide high quality, reliable and consistent customer service to every one of our customers. Our team is actively learning and developing new techniques and skills to ensure that LG Automotive and Dyno stays a cut above the rest. This gives you peace of mind that our work is of top quality.
" Thanks so much to Lee and Aaron at LG automotive and Dynno for the great job they did on my car last week in cairns runs like a dream, highly recommend and will definitely be getting a lot more work done by you guys again soon.
" Lee and all the boys at LG have gone out of their way to help me get my skid car MENACE to where i want it. It gets thrashed and still keeps going. I highly recommend them to everyone looking for reliable power for any application. At LG Automotive and Dyno Tuning our core values stem from our belief that it is our mission to take pride and demonstrate excellence in every interaction with have; from our customers, to our products and our workmanship. Your Satisfaction is our pride! At LG Automotive we pride ourselves on our knowledge, experience and continuous growth. We aim to be the best in our field, our staff are highly trained and skilled and we are confident in the delivery of results. Our staff are highly trained in their field and specialise across the board. Whether you need a straight forward service for your family car or a huge power and torque increase for your pride and joy, you will receive the same outstanding levels of service and attention to detail. We have our own fully enclosed dyno cell and all our tunes are done in house!